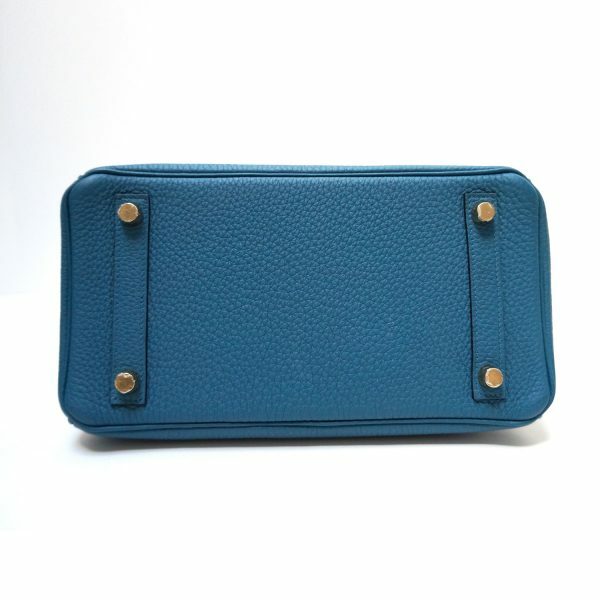 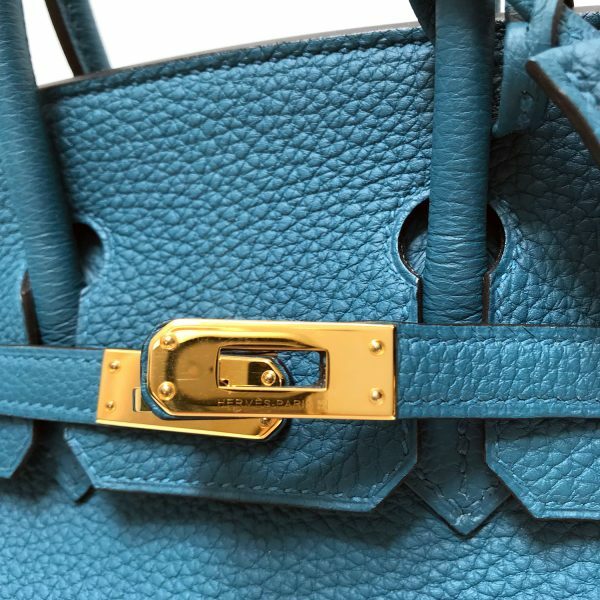 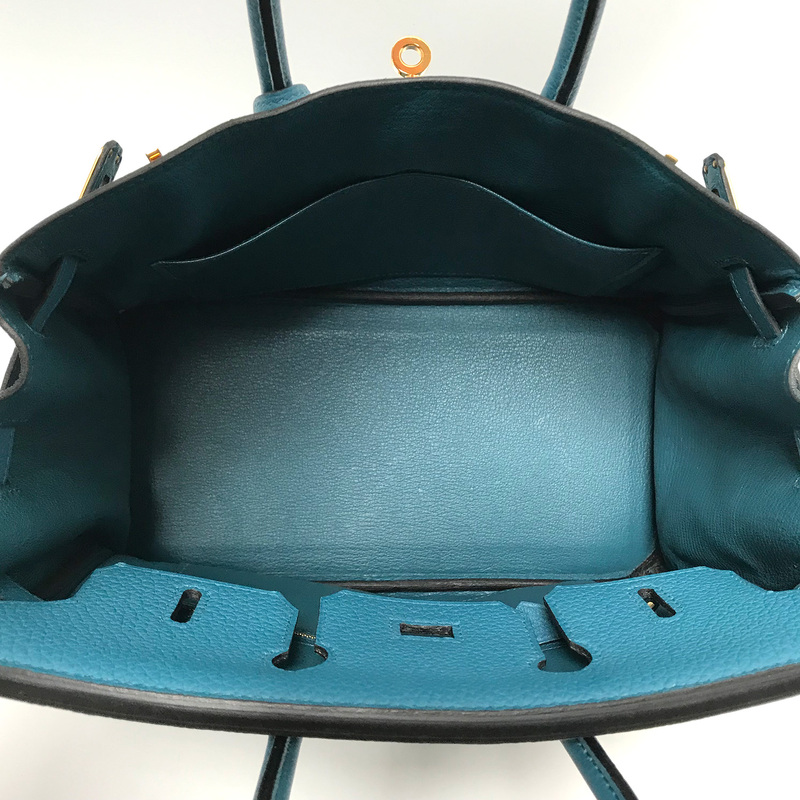 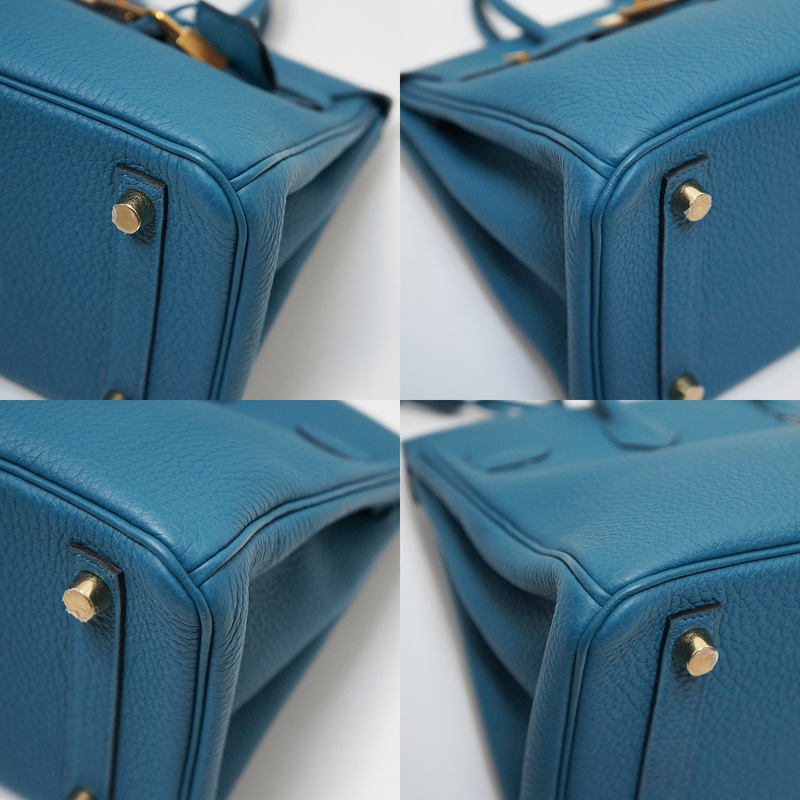 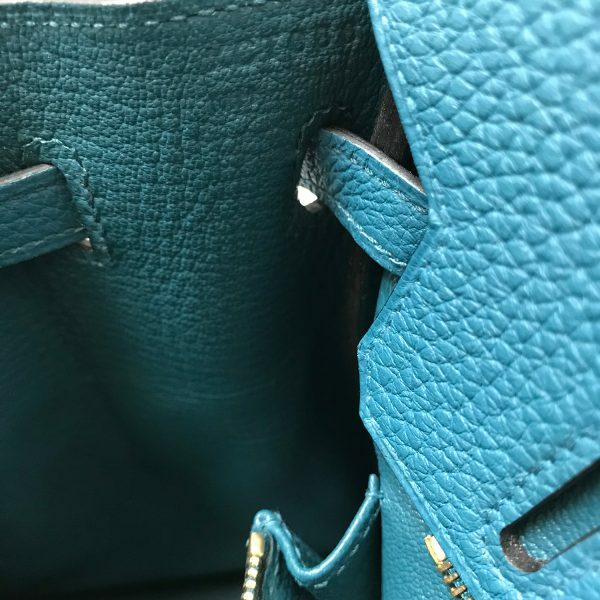 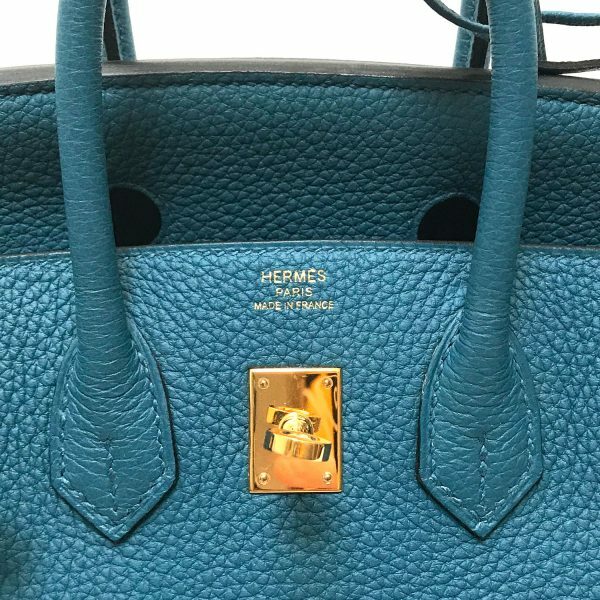 Precious HERMES Birkin 25cm in a gorgeous combination of Bleu Colvert Clemence leather with Gold hardware. 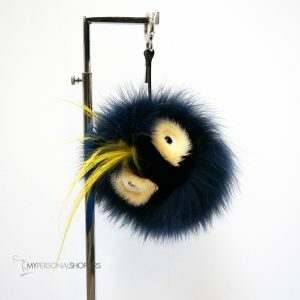 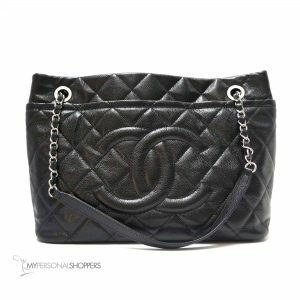 It’s perfect in this size, on point with the current trend, light-weight, and roomy! 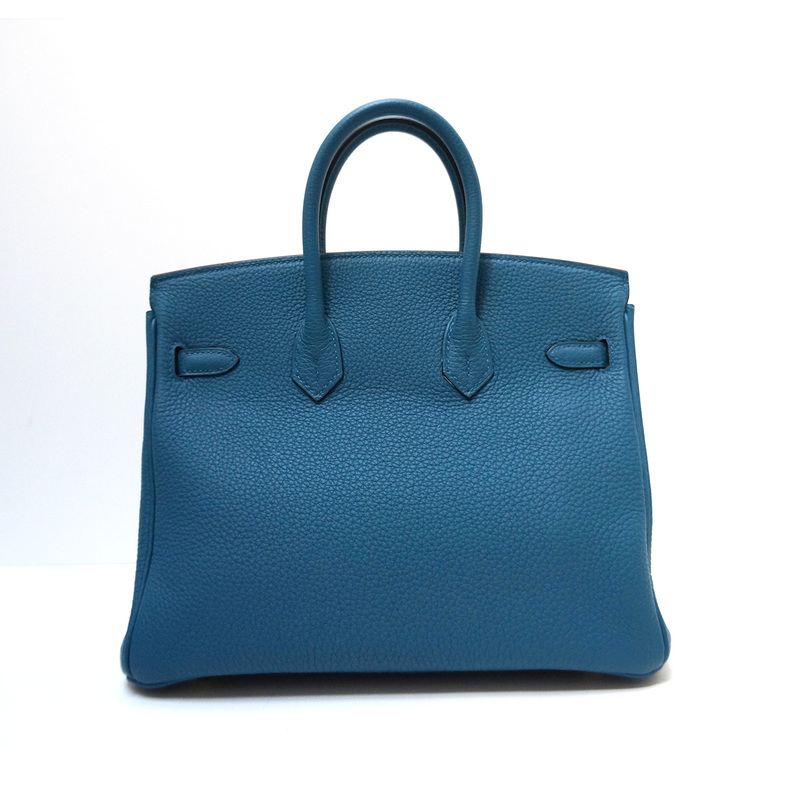 Classically unchanged since inception, this is truly a timeless piece and a must-have addition to any collection. Featuring rolled leather top handles, front flap with straps and twist lock closure, removable keys with leather clochette and matching lock, goat skin lined interior with a patch pocket and a zipped pocket. In very good condition, clean inside and out, minute signs of use visible mostly on the hardware (please review photo close-ups). 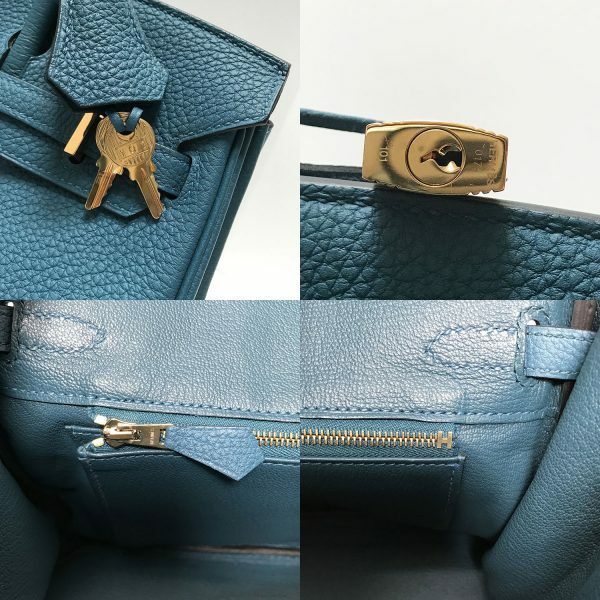 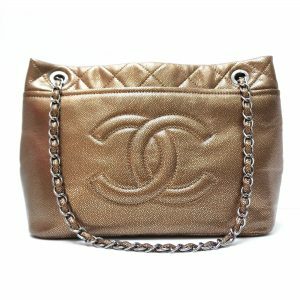 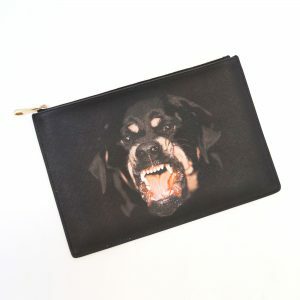 Comes with Hermes dust bag and lock/keys/clochette.